This does present rather a narrow view of what is actually taught in school. Computing incorporates computer science, information technology and digital literacy. Computer science incorporates, but is not exclusively, programming, which is somewhat broader than just ‘coding’. I believe the incorporation of computing in the school curriculum is a good thing and very timely. The speed of developments in machine learning, artificial intelligence, big data and cybersecurity and so on means that the workplace of the future will be considerably different to today’s. There are huge ethical issues that the next generation will need to be prepared to tackle – and an understanding of the how and why of computer science will enable them to do this. Other countries, for example, Finland, Japan and South Korea, have been watching the computing curriculum in England unfold and are starting to follow suit. This change has not been without its difficulties, and a recent Royal Society report described the current provision of computing in the UK as ‘patchy and fragile’. Although now 70 percent of all students in England attend a school where GCSE Computer Science is offered, only 20 percent of those taking the GCSE were girls; at A-Level this figure drops to 10 percent. In rural areas the provision of computer science is lower than in urban areas, according to the Roehampton report from 2015. The subject is mandatory for those schools following the national curriculum but there are not enough teachers to teach it and teacher training courses are under-recruiting (68 percent of places from 2012-2017). The Roehampton report identified that fewer pupil premium students take the subject at GCSE than non pupil-premium, and that they did not fare as well. 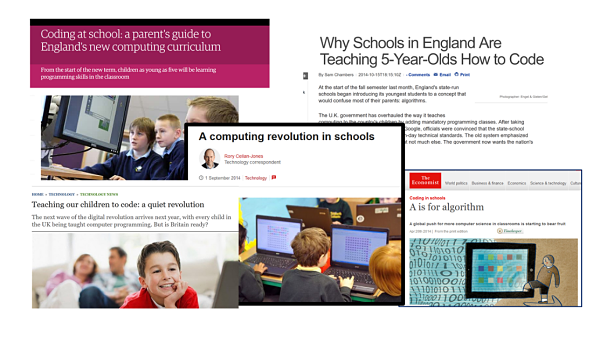 Everybody involved with the subject wants computing to be equally appealing and accessible to all children but the evidence is that this is not currently the case. It is recognized that the curriculum change has been hard for teachers without any formal education in computing, and this has also been highlighted in the media. Although some funding was made available to train teachers in the skills needed, this was not sufficient to reach more than a fraction of teachers and time out of school was not funded. The skills needed are not easy to learn and it takes a long time to develop expertise (sometimes quoted as 10,000 hours of programming to become an expert). Shortly after the publication of the Royal Society report the government announced in the budget that £84 million would be made available to train secondary Computing teachers in England – this is excellent news and we look forward to the mechanics of this unfolding. Of course it is not just about giving teachers enough professional development opportunities, although funding for this is great news. We don’t fully understand how we teach this subject. In contrast to other curriculum subjects such as Maths and Science the subject is still young. Even at university level it’s only been around since the 1960s (start dates are arguable!). Computer studies did exist as a school subject in the 1980s and there was some valuable research conducted then, primarily around the work of Seymour Papert who was hugely influential in promoting exploratory learning (particularly of mathematics) with computers. But then the focus shifted more towards how to use software and attention swung away from the more academic aspects of computer science. The bottom line is that computing is not an easy subject to learn, even at university level. A recent article by Mark Guzdial, professor of computer science education in the US, explains what it is that makes the subject hard. When we teach programming concepts to children age 11 or 12 that undergraduates do not fully grasp when they first meet them, it is to be expected they are going to find them tricky. But the truth is that we have not yet found age-appropriate ways of teaching computing that maintain interest at the same time as unpicking the difficult aspects well enough for them to be understood. Sue Sentance is a senior lecturer in computer science education in the School of Education, Communication and Society at King’s College London. 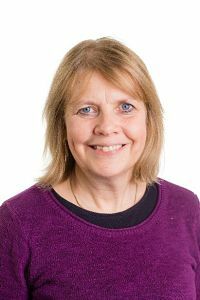 She was recently awarded the BERA/SAGE Public Engagement and Impact award for her work in computing education with teachers. So what can we do? Much. But it won’t be a quick fix. We need rigorous research, based in the classroom and involving teachers at every stage, to explore both cognitive and non-cognitive aspects of computing education at school. This is not as easy as it sounds, as identified by the Royal Society (see chapter 5), because computing education research suffers from both a lack of manpower and a lack of funding. Previous research in computing education has primarily been conducted in university computer science departments – now education departments need to get involved. Computing education falls in between funders who are interested in science and engineering and those who fund research in the social sciences so it is hard to find grant opportunities. I am hopeful that the situation is changing and we can be positive about computing education research. The Royal Society report has highlighted that there is a need. Research is starting to emerge. For example, at King’s we are running a project that is trialing a particular pedagogical approach to teaching programming with Key Stage 3 (when pupils are ages 11 to 14) computing teachers, involving a design-based research methodology. We are just about to open a new interdisciplinary Computing Education Research Centre which spans education, informatics and digital humanities. But there is plenty of room for other institutions to focus on this area too and I would urge others to adopt a cross-disciplinary approach and focus on this crucial area of research. 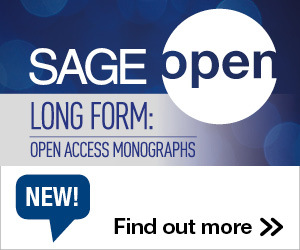 This entry was posted in Interdisciplinarity and tagged Computing, Education. Bookmark the permalink. Post a comment or leave a trackback: Trackback URL.